Kruger National Park lies in the northeast of South Africa — which means that the sunrises are phenomenal (because the sun rises in the east). Bonus: Since it’s close to the equator, the sun appears much bigger because there isn’t a horizon, which generally acts as a point of reference. 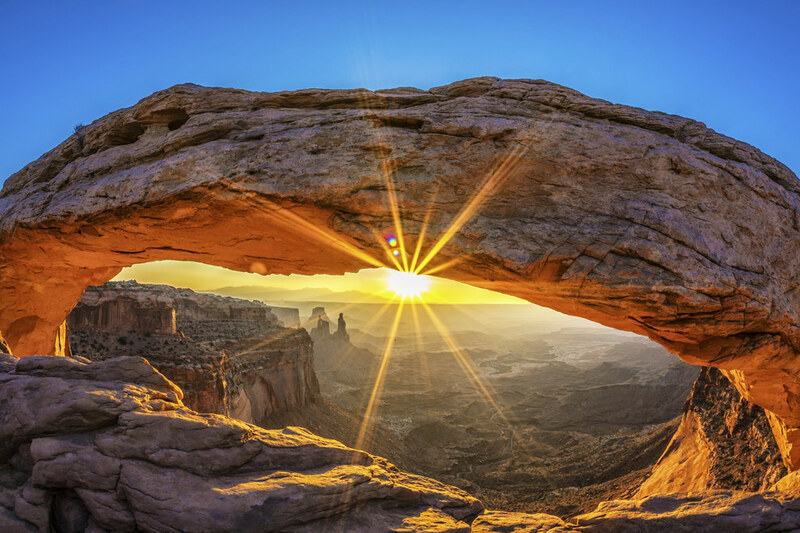 The Mesa Arch in Canyonlands National Park is a famous destination for photographers around the world — and for good reason. Just LOOK at that sunrise! Professional photographers love it because the bottom of the arch glows from reflected sunlight. 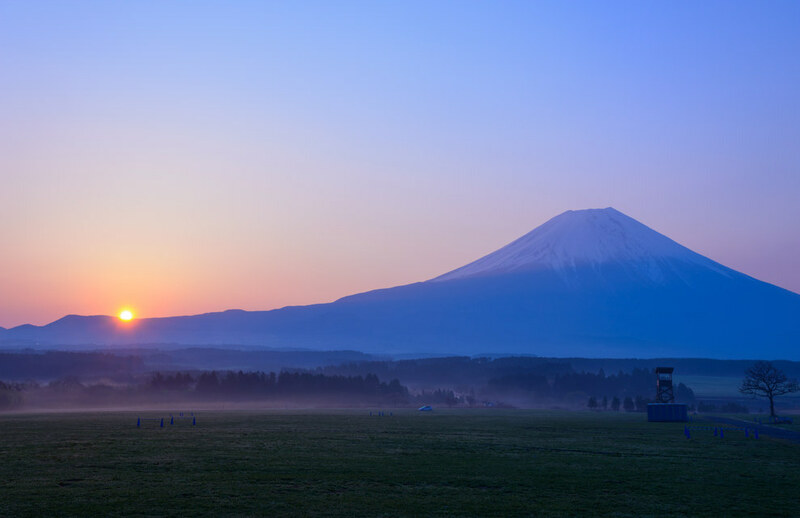 Japan is actually nicknamed “The Land of the Rising Sun,” so there’s that. And since Mount Fuji is the highest mountain in Japan. 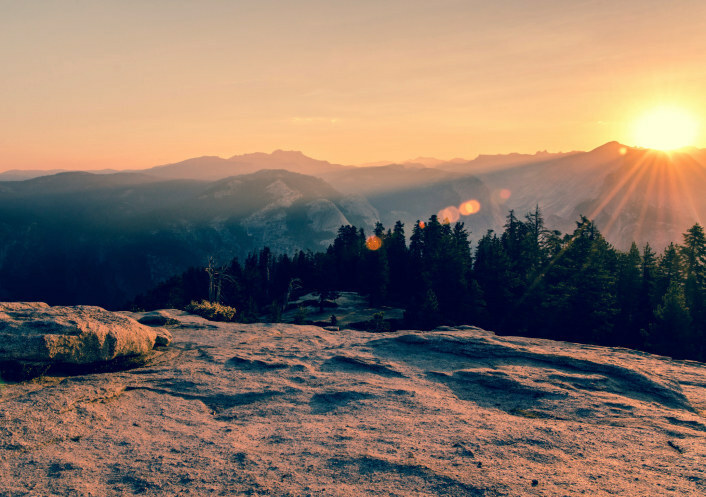 You have two options: You can either watch the sunrise from a distance to get that panoramic, or climb to the top to watch it from the summit. Ascending the mountain actually isn’t that hard: It takes about four to seven hours, depending on your ability and which trail you choose, so the hardest part, really, is getting up to go. If you don’t have tons of hiking experience, go during official climbing season, which is early July to mid September — that’s when there’s no snow and the weather is relatively mild. 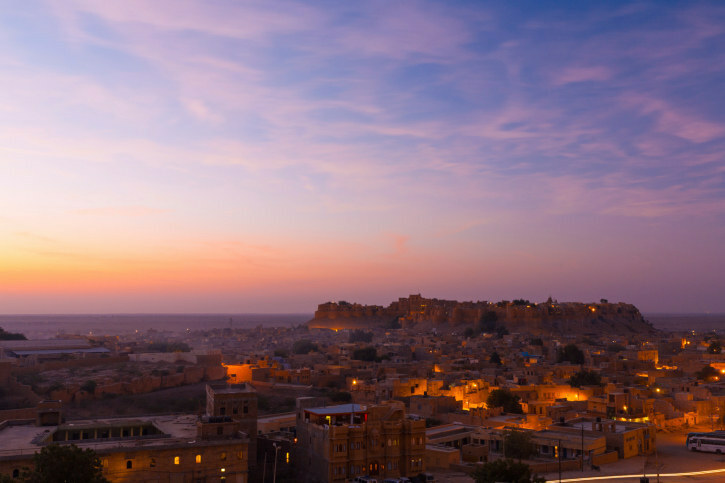 Located in the Indian state of Rajasthan, Jaisalmer is a completely ~magical~ place. It’s nicknamed “The Golden City,” because most of the buildings and the surrounding area are made of yellowish sandstone, giving the entire city a majestic golden glow. It’s also crowned by the Jaisalmer Fort, one of the largest forts in the world that’s also the highest point of the city. For the best Insta-worthy sunrise, stay in one of the hotels IN the fort, so you can wake up early and head to the roof to document the glowing city below. 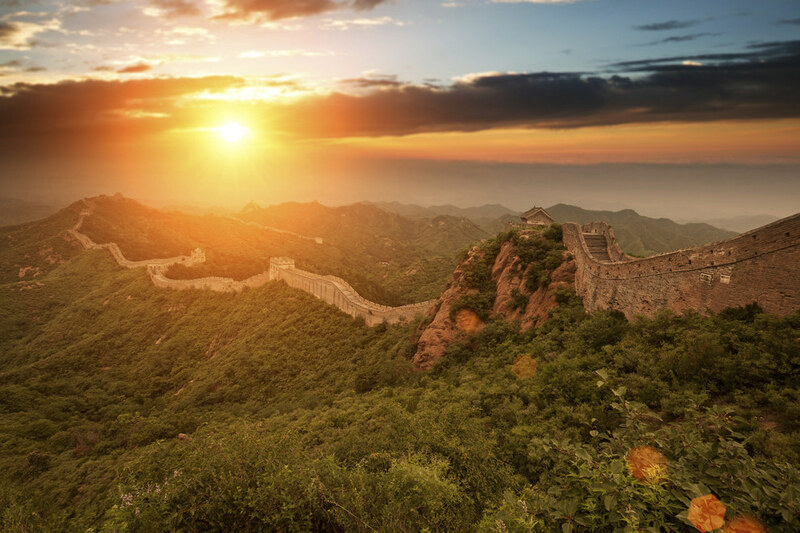 The Great Wall of China is roughly 5,500 miles long, so you have plenty of spots to choose from. The one above, Jinshanling, is one of the most popular picks among professional photographers because it offers a good perspective of the wall nestled among the mountains. To get the full experience, watch the sunset the night before, stay the night in the local area, and then wake up early for the sunrise. Most people think of Banff National Park when they think of the beautiful rocky mountains in Alberta, Canada. But Jasper National Park is its ~cooler~ lesser-known cousin, because it’s harder to get to, and therefore more remote and less tourist-y. 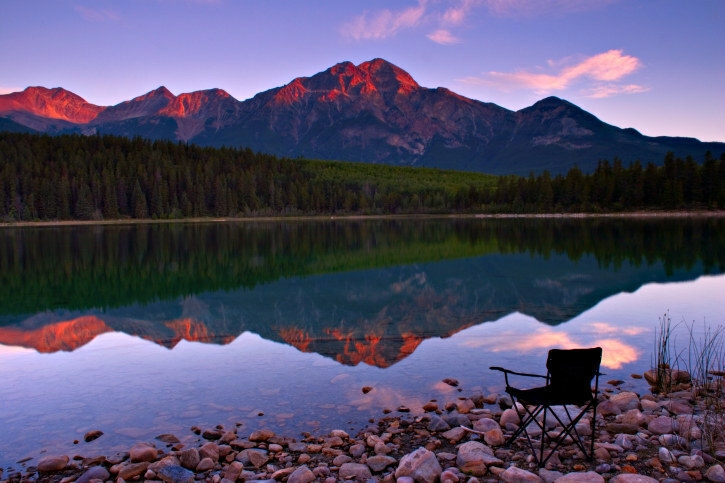 As a result, there probably won’t be people blocking your view — or your photo — of the pinkish sunrise over Jasper’s pristine Lake Maligne. Masada, which means fortress in Hebrew, is a majestic fortress on both the eastern edge of the Judaean Desert, and the edge of the Dead Sea. That makes it a great place to watch the epic sunrise (because EAST). 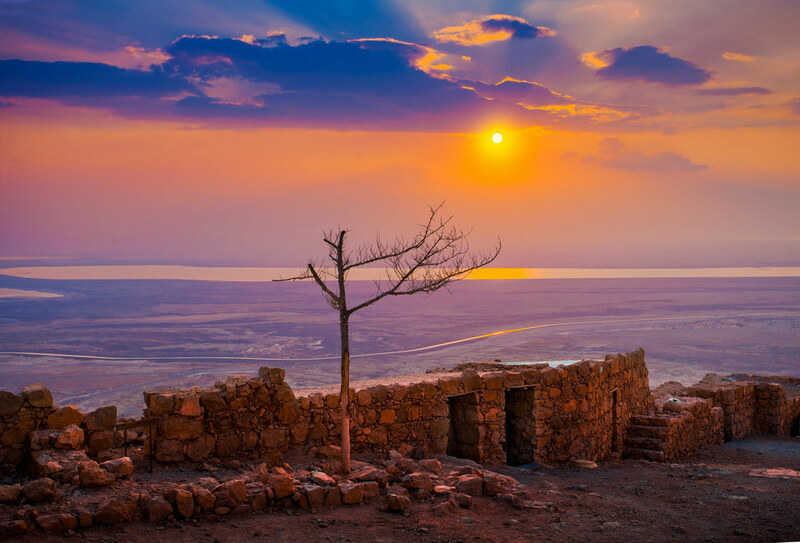 Hike up the Snake Path, which takes about 45 minutes to an hour, to get the perfect sunrise view — and a very iconic Israeli experience. Fact: The Grand Canyon is a tourist-y cliche. Second fact: People love it for a reason … it is AMAZING. 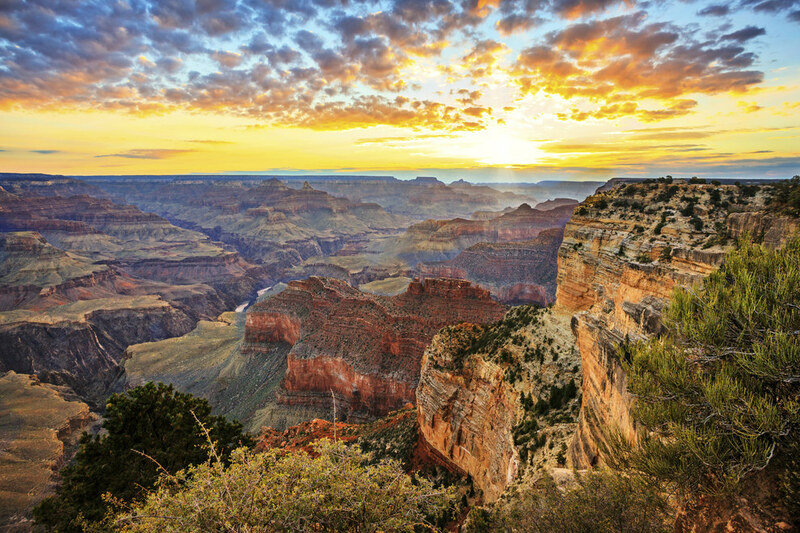 Seeing it at sunrise, as popular as it may be, is something every traveler should do at some point. Watching the sunrise above the clouds at the top of Haleakala, the East Maui Volcano, is one of those Hawaii bucket list things you have to do. The volcano itself forms more than 75% of Maui! Drive to the top, which takes about 45 minutes, and then spend the day hiking into the big crater that’s up there. You’ll feel like you’re on Mars. Cappadocia is one of those magical places in the world that actually exists where when you go you wonder, “How does this place actually exist?” The landscape is full of these tall, surreal volcanic boulders and hills which look like they are from another planet. And the best part is, you can take a hot air balloon ride in the morning to check out the landscape during sunrise — and the sky ends up looking like colorful blippets of funfetti. Angkor Wat is the largest religious monument in the world. Located in Angkor, an archeological UNESCO World Heritage Site in Siem Reap, it was originally founded as a Hindu temple for the Khmer Empire, but it’s now a Buddhist temple. Seeing it at sunrise is as heady as it gets — and plus, the cool architecture will give you great Insta-worthy silhouettes. Mongolia! While it’s probably not a go-to country on your bucket list, it should be, because it’s incredibly beautiful and wildly ancient. 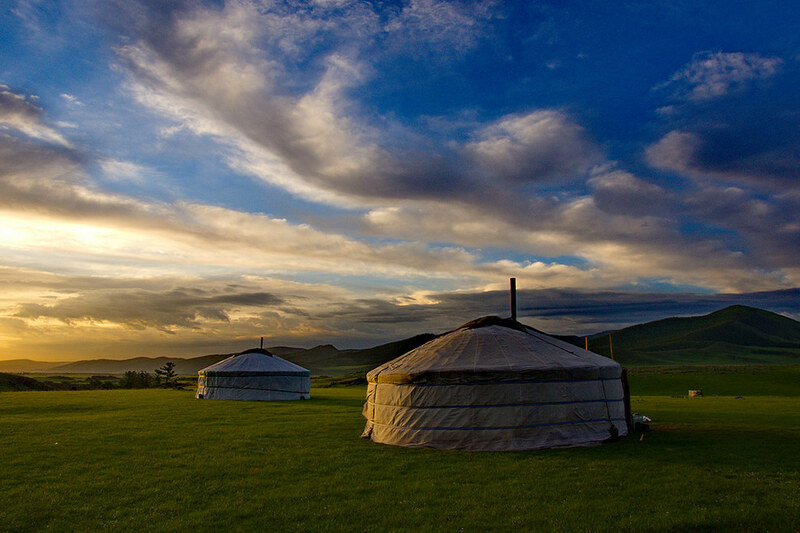 This sunrise photo was taken in the Orkhon Valley Cultural Landscape, which was a crossroads of civilizations back in the days of the Genghis Khan empire, linking the east to the west. It also lends itself to absolutely mind-blowing pics. Anyone who excelled in seventh grade geography class has probably dreamed about making the trek to the Sahara Desert at some point in time. It’s the largest desert in the world, and it spans ten countries. 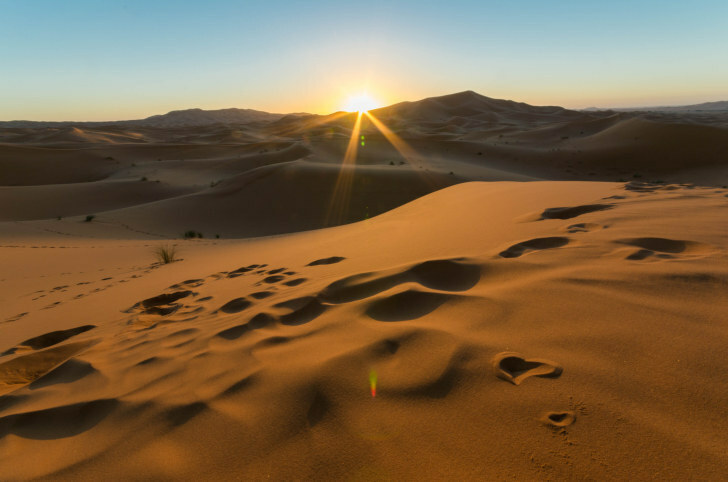 Much of the Sahara is off limits to tourists, but there are areas where you can visit, mainly in Morocco, Tunisia and Egypt (the beautiful photo above is in Morocco). The best way to go is on a camel safari, where you ride camels through the dunes by day and camp out in the desert at night (or for multiple nights). Even if you don’t want to see the sunrise, you’ll probably see it anyway, because either the sun or your own excitement for the day will wake you up. Koh Samui is the second largest island in Thailand, preceded only by Phuket. And on this second-largest island lies a huge Buddha statue, in front of a temple aptly named Big Buddha Temple. 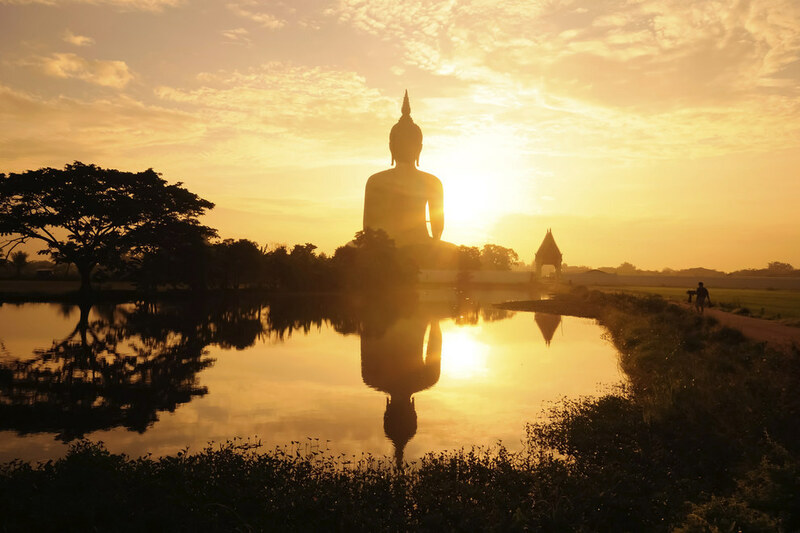 The sky around the Buddha gives ~very~ good sunrise, so do it up. 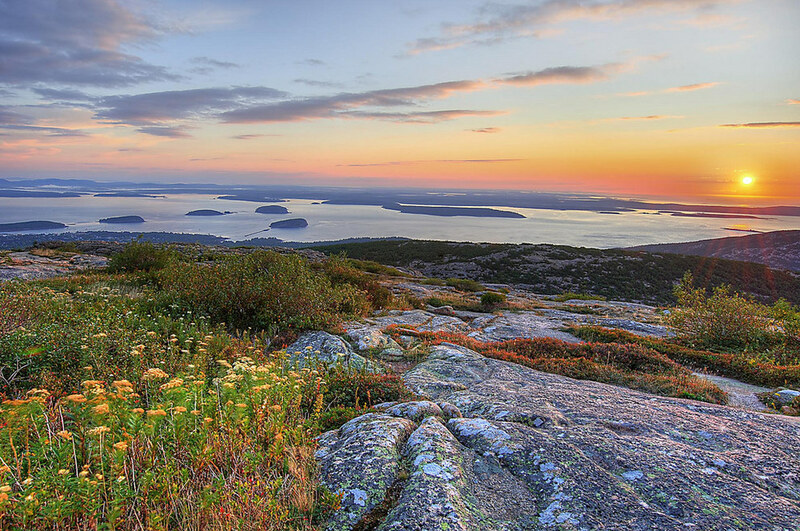 Hiking to the top of Acadia National Park’s Cadillac Mountain for sunrise will not disappoint. This will legit be your view! It takes about two hours total, given that you are not too hungover from your campfire wine the night before, and you will be rewarded with one of the more epic sunrises in New England. Also! You can always drive to the top if you’re feeling super busted. This photo was taken in Kausani, a hill station in the Himalayas in the Indian state of Uttarakhand. Kausani is one of the most epic and picturesque places to watch the sunrise ever. 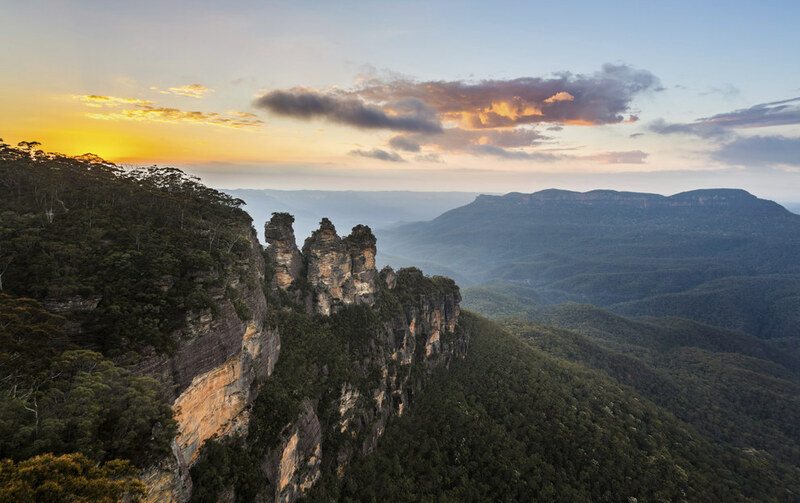 The Blue Mountains are one of Australia’s most beautiful natural attractions. Cool fact: They get their blue color from eucalyptus oils reflecting on the leaves. To catch the sunrise there, it’s best to stay overnight in Katoomba, which is a small town about two hours from Sydney. From there, wake up and head to Echo Point, shown above, where you can see the sun do its thing over the Three Sisters, a legendary rock formation that was originally formed by land erosion. This silhouette of African elephants could be yours if you get yourself to Kenya in Africa. Your best bet to watch slash document the aforementioned elephant-studded sunrise is to go on one of the area’s many wilderness safaris, where you can get very close to the animals and therefore get incredibly dope shots like this. 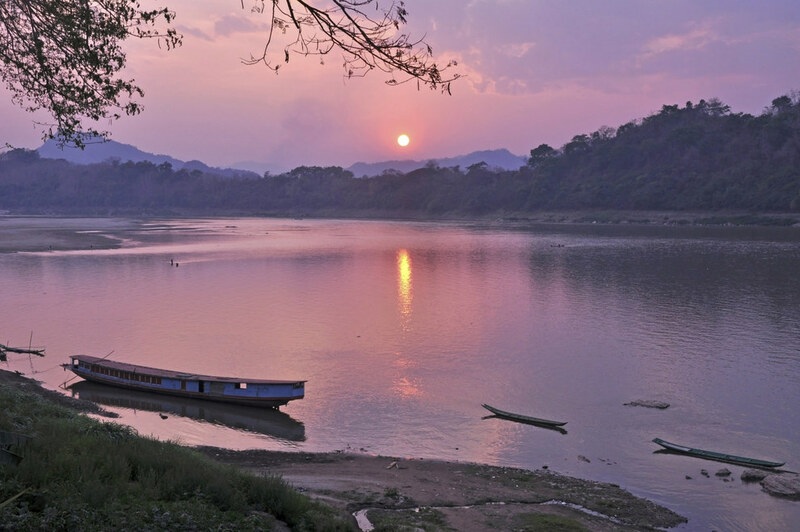 The Mekong River is a very well-known river in Asia that runs through six countries: Thailand, Cambodia, Laos, China, Myanmar, and Vietnam. It’s the 12th longest river in the world, and the 7th longest one in Asia. You can really witness this magical red-Skittle sunrise in any of those countries, but this photo happens to be in Thailand. California’s Yosemite National Park is one of the most gorgeous natural wonders in America. Located in the Sierra Nevada mountains, the park is most known for its granite cliffs and insanely scenic i.e. Insta-worthy vistas. This one in particular, Taft Point, is especially amazing because it offers the beautiful view above, and it’s a pretty easy hike to get there. Just head up Taft Point Trail, which is about two miles to the summit and takes about one to two hours to climb. Iceland is pretty much a photographer’s happy place. The light there is stunning since it’s so far north, and the landscapes are completely absurd. Glaciers, jagged rocks, rolling hills, oceans … you name it. So basically, anywhere you go where you wake up early enough to see the sunrise will be good. Trust.